Obituary for Virginia (Franklin) Burton | Grissom-Martin Funeral Home, Inc.
Virginia C. Burton, 95, of Columbia, Kentucky, died Friday, February 8, 2019 at 7:09 P.M. at her home. She was born January 28, 1924, in Wilder, Tennessee, to the late Marvin and Etta Richards Franklin. In addition to her parents, she was preceded in death by her husband; Willie Curtis Burton on April 3, 1993, one son; Steve Edward Burton, three brothers; Otis, Garnett & Roy Franklin and four sisters; Nina Roth, Wanda Nicholson, Helen Logsdon, Carrie Franklin. 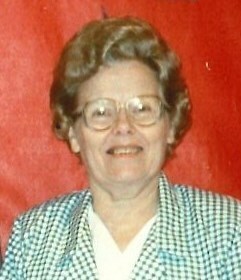 She was a member of Bearwallow United Methodist Church, retired after 30 years at Lindsey Wilson College in the Cafeteria and loved to quilt.